I'm clearing my schedule later this month to play Punch-Out!! on the Wii. I don't care what else is going on. If it's pre-E3 events, I'll send someone else. If there's zombie apocalypse, I'll board up my house while I swing my Wii Remote and nunchuk left and right. I'm determined to step into the shoes of Little Mac again, and nothing is going to stop me. The latest Nintendo Channel update brings us a pretty nice behind-the-scenes video of Punch-Out! !, showing off some stuff I don't think we've seen (or heard) before. 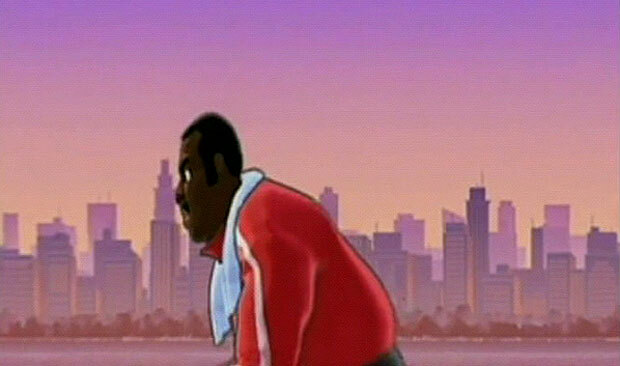 For example, the updated look at Little Mac jogging behind Doc Louis as he exercises in front of the New York City skyline. Or our first listen at what Doc Louis actually sounds like, which the game's audio director Chad York says gives him more "flavor." You can fire up your Wii and stream it directly, or since you're already here, just hit the jump.